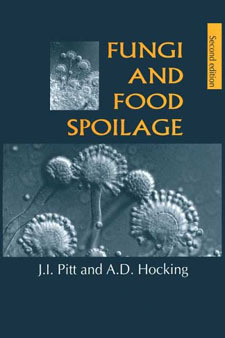 The introductory chapters of Fungi and Food Spoilage deal with the ecology of food spoilage and give an overview of how food processing, packaging and storage affect fungal growth. Subsequent chapters cover the fundamentals of classifying and naming fungi and current methods for isolation and enumeration, including general and special purpose media, incubation conditions, etc. Fungi and Food Spoilage provides keys, descriptions and illustrations of all yeasts and moulds commonly encountered in foods. Characteristics of the species, including their ecology and potential for mycotoxin production, are also included.